Xcel Infinity are high neoprene boots 5mm thick. They have split toe. 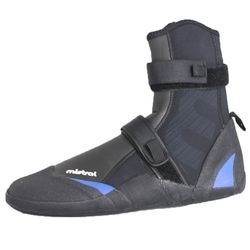 It gives you better feel of the board and keeps the boot tighter on the feet. 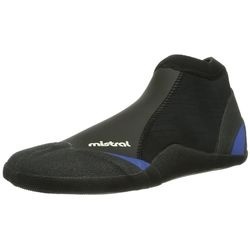 They provide comfort and warmth in colder days on the water, also they protect your feet from injuries and cuts on the harsh surface. 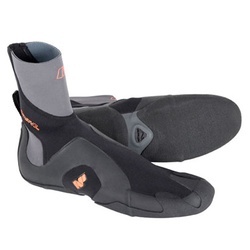 You can put them on and off fast and easily thanks to elastic neoprene and additional ankle pull loop. They also feature reinforced, glued and blind stitched seam construction which increases durability. You can fit them perfectly thanks to adjustable velcro on the instep. 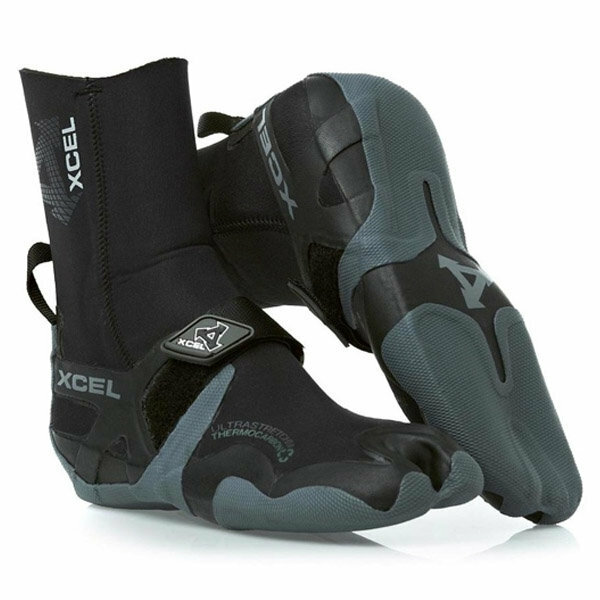 Inner side of the boots is covered with soft, fast drying neoprene to enhance warmth and comfort. Anti-slippery sole gives you stability and control on the board.